This is what we think is the best tuna casserole. It is simple, quick and the kids love it. 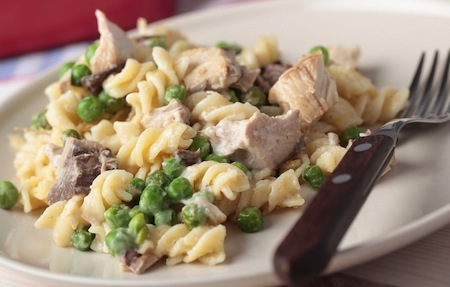 So if you are looking for directions on how to make tuna casserole here is your recipe and check out a healthy version also. Cook noodles, drain and place in baking dish. Sprinkle top of noodles with peas. The hot noodles will unthaw the peas quickly but you can add the peas several minutes before the noodles are done cooking and drain peas and noodles together. In mixing bowl, add cream of mushroom soup, yogurt, cream cheese and tuna. Stir until well blended. Season with pepper and stir into noodles. Serve immediately. Mix these three ingredients and stir into cooked noodles. If your kids are like mine and they don't like the cottage cheese curds puree in blender before adding to the noodles. 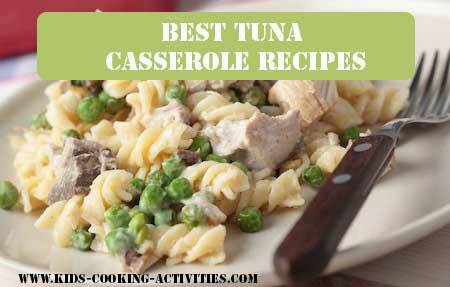 Also for a healthy version of tuna casserole use whole wheat penne or other shape noodles. Preheat the oven to 325 degrees. Prepare pasta according to the box directions. While it's boiling, mix together the soup, tuna, and 2 cups of cheese. Drain pasta and pour into a 9" x 13" baking dish. 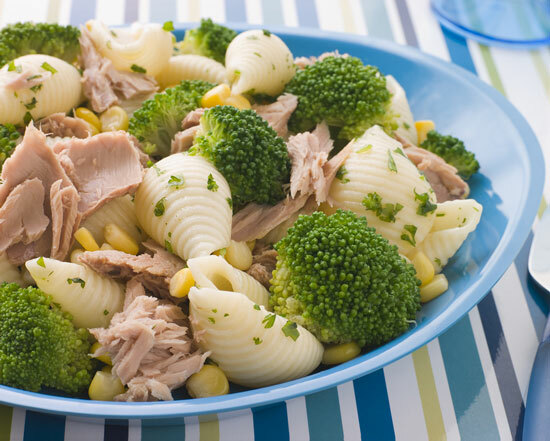 Add the tuna mixture and blend with the pasta. Cover with the rest of the cheese and top with the breadcrumbs. Slide into the oven and bake for 20 minutes. Serve with buttery crackers.